Zoe Gets Ready. Written and illustrated by Bethanie Deeney Murguia. Scholastic, 2012. When I finished reading Zoe Gets Ready, I said to myself, "Wow, I like this book a gazillion times more than I thought I would." It beautifully captures the free spirit and creativity of a six-year-old girl. Give this adorable picture book to a young adventurer in your life. The Wheel on the School. Written by Meindert Dejong. Illustrated by Maurice Sendak. 1954, HarperCollins. 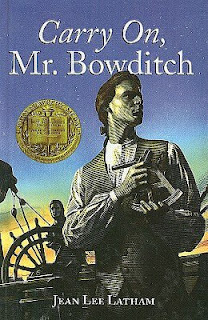 I read The Wheel on the School for the Newbery Challenge. Fifty Cents and a Dream: Young Booker T. Washington. Written by Jabari Asim. Illustrated by Bryan Collier. Little, Brown, December 4, 2012. I feel frustrated when I get to the end of a compelling nonfiction book and cannot find a bibliography, an index, an author's/illustrator's note, or source notes. This has happened way too many times during 2012. Thankfully, when I got to the end of your compelling and inspiring picture book biography, I found the perfect amount of back matter. Thank you! Thank you! Thank you! I look forward to celebrating this exquisite biography in December. Your reading and reviews always inspire me, especially enjoying your journey with the Newbery's. Thanks for by your example, encouraging me to read some of them. Thanks for sharing Fifty Cents and A Dream. It is great to find books about important people in our history but written for younger students and this does sound good. Everyone will like the back matter, too. I remember liking Carry On, Mr. Bowditch, but it's been a long while since I read it. Hopefully it holds up. Thanks! I love Grace Lin. I'll be adding that one to my TBR. Your book trailers have changed how I think I'll reach the teachers in my school this year. I'm on a tear to get all teachers loving reading so that students will hear them talk about them all the time. But, I have to say I love "Back Matter" the most about this post. After setting up my classroom library, I realized I didn't own one graphic novel to offer my 6th graders. Bone, Sonic Universe, and The Adventures of Tintin are all on my list to read. I also bought NERDS, and Origami Yoda, and I can't wait to read them! I am almost finished with, Among the Hidden. I can't wait to share books with my students! Thank you so much for the great suggestions!